Every phone, be it Android or iPhone, has its own IMEI number which is unique. IMEI stands for International Mobile Equipment Identify. As name itself suggests, it is a 15-digit number used to identify devices. Once an IMEI number is assigned, it can't be changed in any way. The IMEI number is useful as it can be used to find or blacklist your device. For example, If your phone is lost or stolen by someone, you can report it to nearby police station by providing your phone details like manufacturer, model, IMEI number, color and other things. They will probably contact your network provider to track the device location and even to blacklist the IMEI number so that no one can misuse your phone. 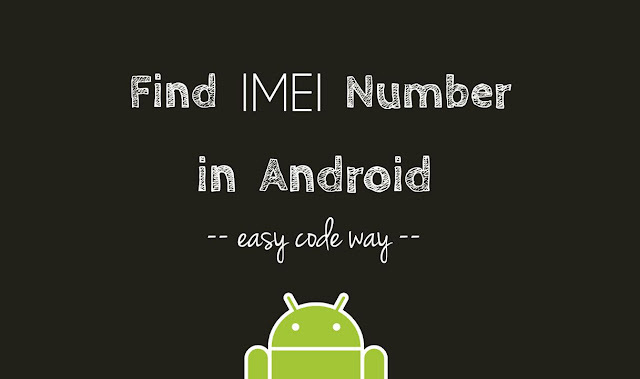 Use Android secret code - This is one of the easiest and evergreen method to find out IMEI number in Android phones. All what you have to do is, just open the dialpad and type *#06# code. As soon as you will type the last hash (#) symbol, a pop up box will appear where you will find your phone's IMEI number. If you're using two SIM cards, then your phone will also have two IMEI numbers, separate for each network operator. Only the last few digits will be different. You have to note down the number manually as there is no option to copy it. Check under the battery - In some smartphones, IMEI number is printed under the battery. To check it, first switch off the phone and remove its back cover. Then, remove the battery and there you will find your phone's IMEI and serial number usually printed on a sticker. If your phone has non-removable battery, then unfortunately this method will not work for you. Check phone box - Let's consider a situation in which your phone is lost or stolen. While reporting it in police station, you may need to give your phone IMEI number. How will you find it? The only way is to check your phone box. IMEI number along with serial number and bar code was printed on every phone's packaging box. Check about phone info - First go to "Settings" and then click "About phone" option. Then, click Status and there you will find your IMEI number. 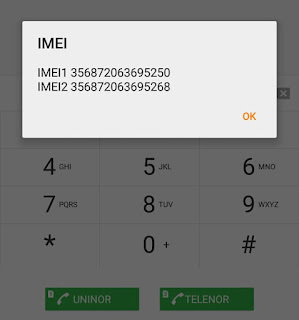 Again if you have dual-SIM mobile, then there will be two different IMEI numbers. From General tab, you can grab other useful information about your phone like its IP address, serial number, Wi-Fi MAC and Bluetooth address. Use Google Dashboard - Google keeps record of all device's information where your account is logged in. Luckily, you can access this information from any where. First you have to login to your Google account which is associated with your Android phone. Next, go to the Google Dashboard page and expand Android section. Here you will find all devices list. Locate your phone and copy its IMEI number. 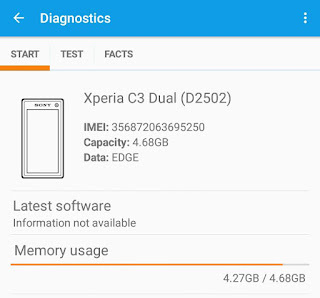 Use Sony's Diagnostics application - Sony Xperia phones have in-built Diagnostics application which provides useful information about your device such as software version, product model, memory usage and much more. If you also have Sony Xperia phone, you can use this application to find your IMEI number. Just go to Settings > About phone and then click "Diagnostics" option. 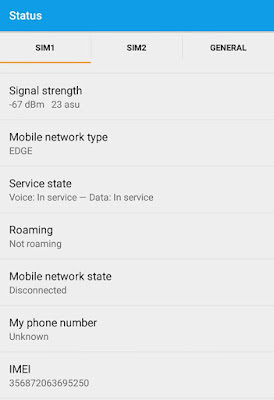 These are some quick methods to find out IMEI number in your Android phone. If you would like to ask something about this tutorial, please do share it in the below comment box. Is there any other better way you know?